A study implemented by the US Dept. of Energy’s – Oak Ridge National Laboratory, has demonstrated that a 4-inch SIP panels outperforms 2″x4″ stick and batt construction. Not only that, it even outperforms 2″x6″ construction when comparing thermal performance. A SIP panels provides the structural components. There are no braces or studs to cause openings in the insulation. This results in a more comfortable, energy efficient building that performs up to specifications in real world conditions. 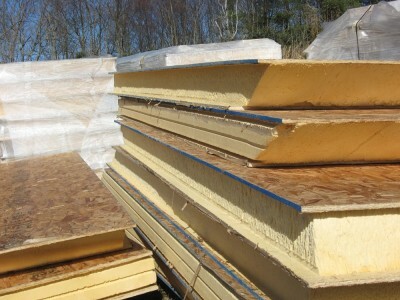 Commonly, stick and batt insulated buildings are subject to inadequately installed or even missing insulation. The design of a SIPS panels combines the structural and insulation components joined as one. This means there are no hidden spaces because a solid layer of foam insulation is part of the wall or roof panel. In additional testing and a comprehensive technical analysis of whole-wall performance indicates that the air losses in stud wall construction are much greater than originally anticipated. Average results showed that the other standard components in stick and batt walls can reduce R-values as much as 30% of the wall area. about 97% of their stated R-value overall, losing only 3% to seams, splines and nail holes. 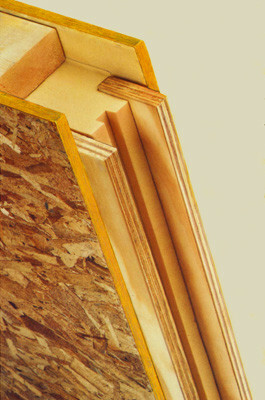 Under blower door testing, a room with four-inch SIP walls, a SIP ceiling, a window, a door, pre-routed wiring chases, and electrical outlets showed almost 15 times less air leakage than an otherwise identical room built with 2×6 studs, OSB sheathing, fiberglass insulation, and drywall. This technology keeps the outdoor elements out and means the interior will be free of drafts and cold spots. When it comes to maintaining constant interior temperatures, a SIP panel wall also outdoes stick and batt construction which leads to improved occupant comfort. The accompanying chart demonstrates how this works. The interior wall temperature of frame construction drops at every stud location. However, the SIP wall remains consistent across its entire surface. Occupant comfort is improved because there are no changes to the temperature and every part of the building is consistent and comfortable. That is why many people remark that they can immediately “feel the difference” in a SIP panel built home or commercial building. Learn more about our SIP services. 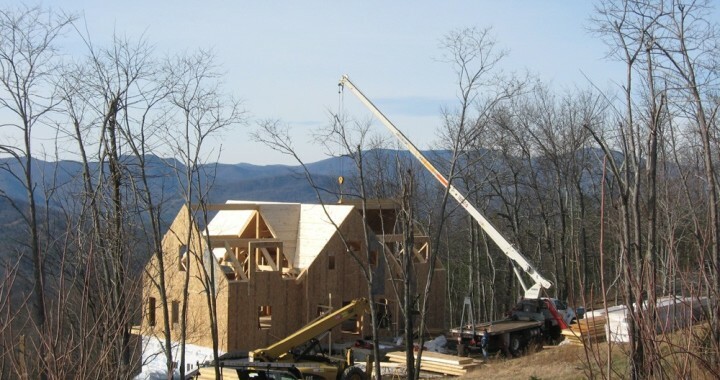 Mountain Construction is a full service custom builder offering Log, Timber Frame, and Structural Insulated PanelHomes nationally as well as local New Construction of any type and Remodeling and Restoration services. We are NAHB Certified Green Professionals.